You forget people you meet, but sometimes, you meet those people you cannot forget. 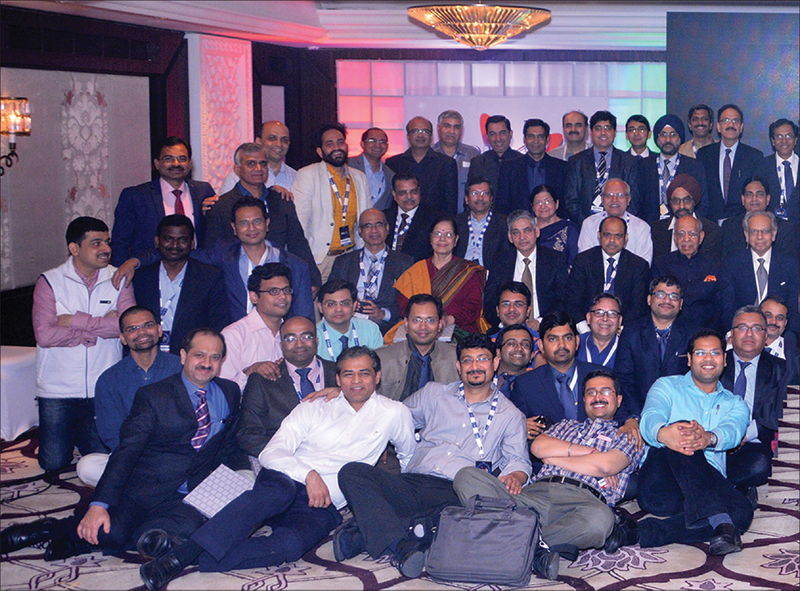 On February 27, 2016, Department of Cardiology, AIIMS, witnessed the meeting of alumni at Hotel Taj in New Delhi. The occasion was graced by more than 80 alumni members ranging across various batches from various parts of the country and outside the country as well. Dr. V.K. Bahl, Dr. Bishav Mohan, and Dr. Ramakrishnan organized the alumni meet during India Live 2016. The meeting was initiated by Dr. V.K. Bahl, current Head of the Department of Cardiology, AIIMS. Then, we showed a video of the current department [Videos 1-5]. The department was established in 1958 under the leadership of Prof. Sujoy B. Roy, who sacrificed his position as faculty at Harvard University to join AIIMS as Head of the Department of Cardiology. He was a compassionate cardiologist, dedicated researcher, and an accomplished teacher. His prodigious contribution won him several accolades such as Amir Chand Basanti Award, the Massachusetts Heart fellowship, and Padma Bhushan. He did the first cardiac catheterization in 1962. 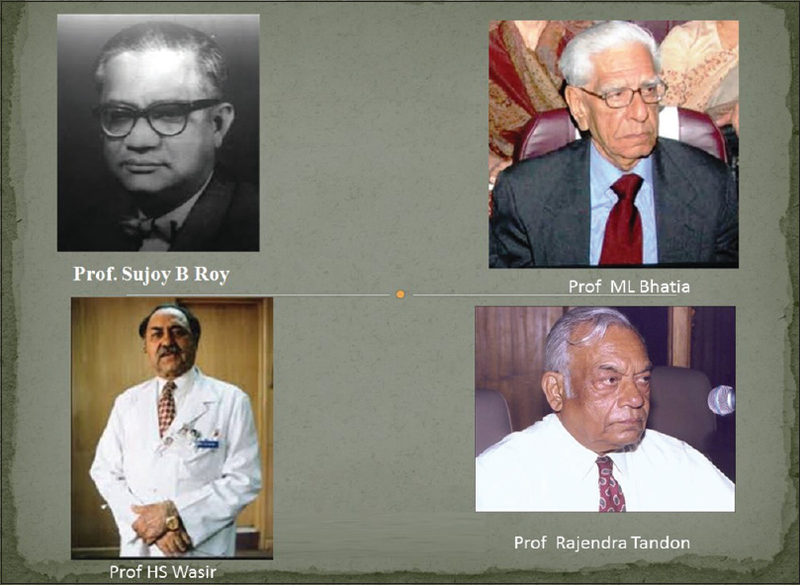 He coined the term, “juvenile mitral stenosis.” After the initial significant contribution of Prof. Sujoy B. Roy, subsequent heads, including Prof. Madan Lal Bhatia, Prof. Rajan Tandon, Prof. Harbans Singh Wasir, Prof. Subhash Chand Manchanda, Prof. K.K. Talwar, Prof. K. Srinath Reddy, and Prof. V.K. Bahl, have taken the department to newer heights with the pioneering leads in mitral balloon intervention, coronary intervention, biventricular pacing, heart transplantation and research in rheumatic heart disease, high altitude mountain sickness, yoga to name a few. Currently, the department has excellent facilities for clinical care adult and pediatric interventions including radiofrequency ablation, pacemaker, biventricular pacemaker, cardioverter defibrillator implantation, and advanced heart failure care including heart transplant and ventricular assist device implantation. As far as laboratory facilities are concerned, the department has fully developed laboratory testing facilities including treadmill testing, Holter recording, echocardiography, tilt testing for syncope, and electrophysiology testing including CARTO system mapping. During a remarkable and unforgettable journey faculty such as Prof. Harbans Singh Wasir and Dr. Rajan Tandon also lost their lives and will always be remembered. Dr. Khanna in his speech called the Department of Cardiology of AIIMS as the “Mecca of Cardiology in the subcontinent.” He still remembers the beautiful and memorable old days spent with Dr. Sujoy B. Roy at AIIMS. Dr. Grover, who also served AIIMS during his Senior Resident ship, still remembers the unforgettable days at AIIMS. Dr. M.L. Bhatia sent his best wishes to the audience over a voice recording. Dr. Khalilullah stated that your knowledge could be your strength no matter where you come from and also narrated how he created the first indigenous pacemaker and he gave the credit of what he is today to Dr. Sujoy B. Roy. Dr. Manchanda congratulated Dr. S. Ramakrishnan and Dr. V.K Bahl for organizing such an important event and stated that Dr. Sujoy B. Roy was the father of cardiology in India. As a teacher, he taught as well as learned a lot from his students. Dr. Savitri Srivastava remembered the days when patients were reluctant to undergo cardiac interventions during those early times. Dr. Manjuran called himself a fortunate person to have been trained by giants, and he owed all his achievements to the training he received at AIIMS. All the current faculty members and all the past alumni of AIIMS shared their wonderful experience and unforgettable time they spent during their training in alma mater. In the end, Dr. S.S. Kothari gave a fitting vote of thanks for the event. The department has made a significant contribution to the training of great cardiologists over the years. It can take pride in setting standards in patient care. The list of alumni is available at http://www.aiims.edu/aiims/departments/spcenter/ctvsdepart/ctc_cardiology/alumni.htm. [Figure 1] and [Figure 2] show the group photograph taken at the end of the event. 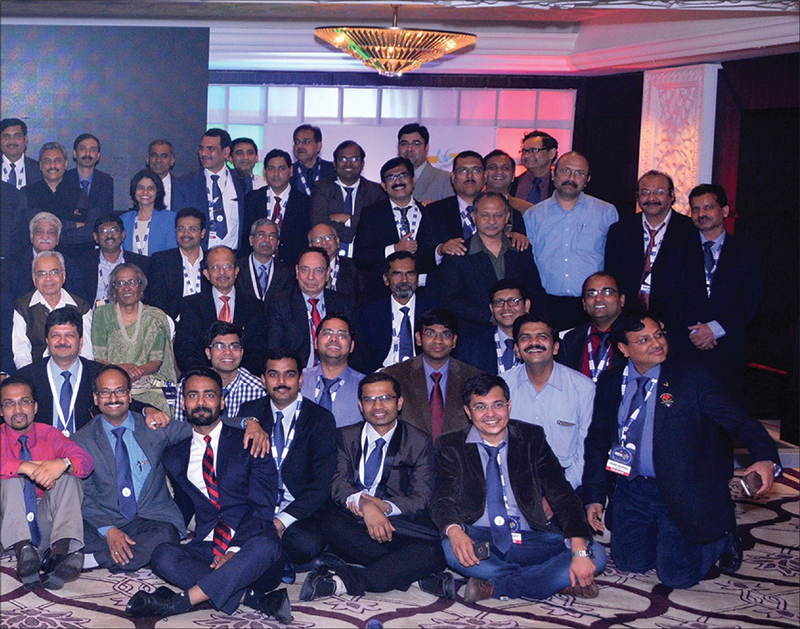 Figure 1: AIIMS Department of Cardiology alumni meet 2016 photograph 1. Left to right (5th row): K.C. Kishore Kumar, Chandra Bhan Meena, Dhopeshwarkar Rajesh, Arun Mohanty, Manohar Sakhare, Vineet Malik, Dinesh Sudan, Sandeep Seth, Vikas Chopra, Arun Kumar Chopra, Sanjeev Sharma, Saurabh Gupta, Sandeep Singh, S. Ramakrishnan, Subhash Chandra, Sanjay Chug Left to right (4th row): Pradeep Jain, Krishna Swamy Subramanian, Asha Rani Kanna, Balbir Singh, K.C. Goswami Left to right (3rd row): Proloy Chakraborty, S. Anand Raja, Neil Bardoloi, Satish Kumar Kaushik, Hemlata Tiwari (Joshi), K.K. Talwar, VK Bahl, Purushottam Kr. Khanna, M. Khalilullah Left to right (2nd row): Dara Singh, Ankit Jain, Shrenik R. Doshi, Varun Gupta, C. Varun, Om Murti Anil, Kumar Vaibhav Vikas, Anand Gopal, Suresh, Naveen Khanna Left to right (1st row): Jeet Ram Kashyap, Ankit, Krishnan, Bharat K, Sameer M, Parag W. Barwad. Figure 2: AIIMS Department of Cardiology alumni meet 2016 photograph 2 Left to right (5th row): Ranjeet K. Nath, Atul Mathur, Sanjeev Asotra, G. Karthikeyan, Ajay Bhatnagar, Prashant T. Upasni, Pradeep Kumar Hasija, Bhoopati, A. Yusuf, Mridul Sharma, Rakesh Yadav, Nitish Naik, Amit Pendarkar Left to right (4th row): Viswanathan Hariharan, Ramesh Babu Pothineni, Sarita Grover, S. Hemant, R. Narang, Shashi Shekhar Chatterjee, K. Mani, R. Juneja, R.D. Yadave, Ajay Kumar Sharma Left to right (3rd row): S.C. Manchanda, Savitri Srivastava, Rajan Joseph Manjuran, U. Kaul, S.S. Kothari, Abhinit Gupta, Sudhir Shetker, Akhilesh Kumar Dubey Left to right (2nd row): Bishav Mohan, Rajiv Sharma, Anunay Gupta, Neeraj Parakh, Anand Agrawal Left to right (1st row): Soumen Devidatta, Kavalipati Narasa Raju, Himanshu Gupta, J. Joseph, Nilkanth C. Patil, Kinjal Bhatt. [Figure 3] shows Dr. Sujoy B. Roy, Dr. H.S. Wasir, Dr. M.L. Bhatia, and Dr. Rajan Tandon. Figure 3: Dr. Sujoy B. Roy, Dr. H.S. Wasir, Dr. M.L. Bhatia, and Dr. Rajendra Tandon.